Essential Qualification- Passed matriculation/10 level exam with science (or) 10+2 standard exam with science subjects. Minimum 8-10 years work experience is required in respective field. Essential Qualification - Passed 12th standard exam in science stream with 55 % marks (or) passed B.Sc. with 50 marks. Essential Qualification - Must be a graduate in science stream. should have basic computer knowledge. Essential Qualification - Post Graduate degree in Library Science/Information Science/Documentation Science with at least 55%. 5 years work experience is required. Essential Qualification - Passed 10+2 level exam.with proficiency in shorthand with a speed of 120 w.p.m. 2 years work experience is required. Essential Qualification - Passed 10th level exam. Knowledge in computer and typing test is required. 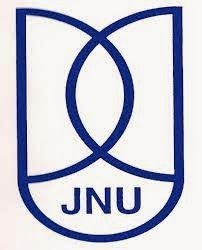 Candidates are required to apply online through JNU's official website. For advertisement, important instruction, online registration form, application fees, check here. 0 comments for " JNU Recruitment 2014 for Assistant, MTS & Librarian "